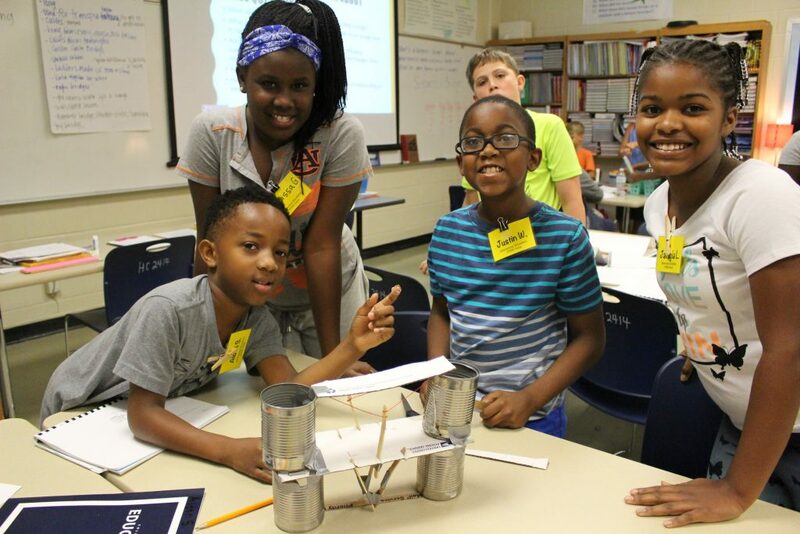 For three weeks in June, elementary school students from in and around Lee County engaged in activities designed to improve their skills and knowledge in Science, Technology, Engineering, and Mathematics (STEM). 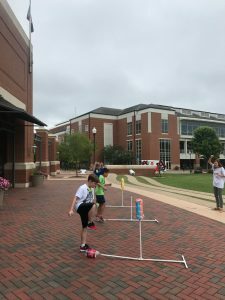 This was done through a wide variety of integrated activities in areas such as structures and robotics, all designed to promote STEM learning while having fun and getting to know the Auburn campus. But it wasn’t just the rising third, fourth, and fifth graders who got their game on. 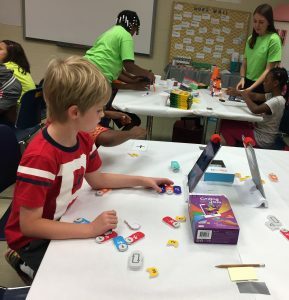 The STEM Elementary Camp at Auburn University also provided the first live teaching opportunity for 25 preservice teachers in the Elementary Education program in the College of Education’s Department of Curriculum and Teaching. According to camp director and clinical faculty member Stacie Finley, the camp provided preservice teachers with a unique field experience. Finley, along with other faculty members from Elementary Education, provide the preservice teachers with basic classroom concepts, but it is the preservice teachers themselves who develop the lessons and activities, formatively assess and analyze student data, and determine follow-up instruction. Once camp breaks for the day, the preservice teachers spend the afternoon with faculty members discussing what worked well, along with solving problems in areas where they were challenged. This could be anything from issues of instructional and management topics, addressing student needs, and how to deepen understanding through questioning and engaging activities. The STEM camp requires a lot of time and focus and effort from the preservice teachers. Finley believes that as preservice teachers become classroom teachers, they will realize what an impactful experience this summer camp had on their professional development. A lot goes on behind the scenes in the year leading up to the summer camp program. About 100 elementary-aged students attend the camp and approximately 60 of those students are on scholarship based on student need. They were identified by their teachers as someone who is engaged and has a love of learning. Interest in this program was so high, that students within the Auburn/Opelika area and beyond were involved. Parents drove from Notasulga, Chambers County, and other surrounding areas each morning in order to provide this opportunity for their children. Clearly, the need and desire for a STEM camp is there. The students loved the camp and asked to come back next year. 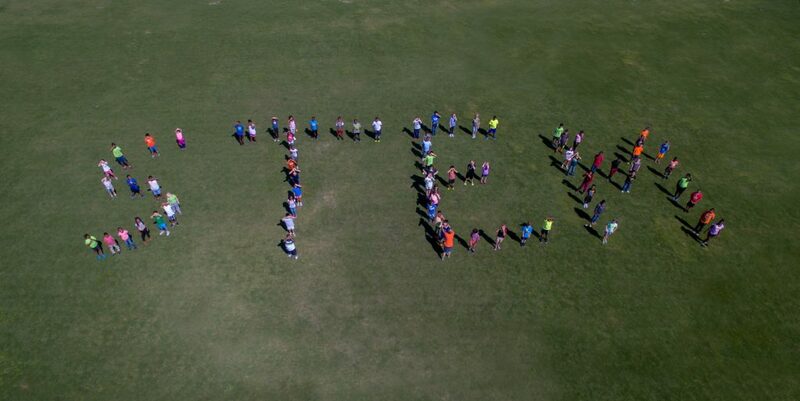 To that end, the preservice teachers not only aligned the material to state standards, but also planned activities so next year the same students will not do the same activities. Similar innovations came with the many robotics activities. At the camp’s conclusion, the preservice teachers did reflections on various ways teachers can effectively respond to different types of learners, and how teaching styles must change depending on student needs. While classroom management was not a central focus, it remains critically important. This camp provided experiences for preservice teachers to adapt to the changing needs of their students. It also allows them to learn ways to connect to the diverse population of students. Another great advantage to the summer camp is having it on campus. This allows the young campers to feel like they are at college. It’s a big difference from being in a traditional schoolroom, seeing the campus buildings and professors. It excited the children to be part of Auburn for a few weeks.